Dave Feakes was kind enough to drop us a line about the Coniston 14, a popular race with a few Helsby runners. Apologies for not getting this up sooner! It’s a fantastic 14 mile road race around Coniston lake which I would highly recommend to Club members. The organisation and hospitality are excellent and they even arranged for the sun to shine on us during the race this year which was very welcome. The course is very undulating and so we appreciated the fact that it reverted back to the 14 mile course as opposed to the 17 mile course used for the previous 2 years due to flood damage. 1492 finishers, pretty much top half for everyone. A great achievement on a tough course. Please, keep the stories coming! 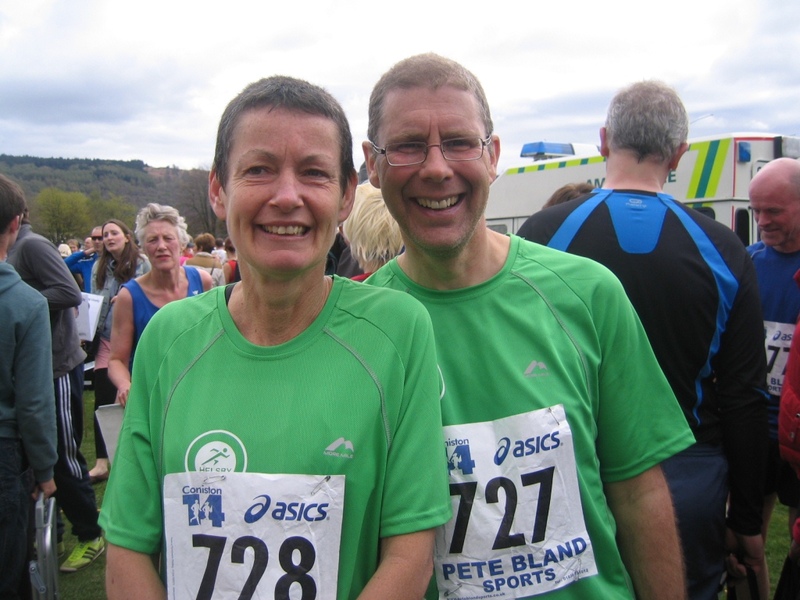 This entry was posted in Uncategorized and tagged Coniston 14, lakes. Bookmark the permalink.